He came to live with his human in December 2012 and within a few days of his arrival, he embarked on his very first journey. It was a road trip to the Romanian countryside to his human’s grandma and cousin. Ares was the first dog ever to be allowed inside that house. He jumped on the beds, slid under them, tried to eat fire wood, and did a lot of naughty stuff. To this day, cars are his favorite. See exhibit A, where he happily watches his human’s friend drive them to the mountains. He hiked that day and ran up and down a mountain river, trying to drink all the water and barking at it because it was flowing downstream. 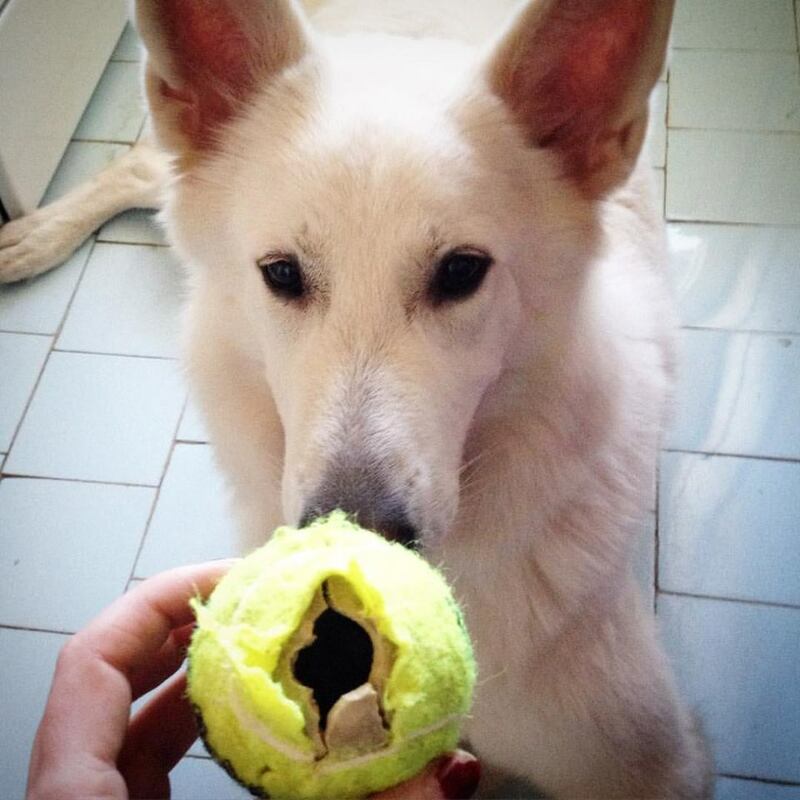 Because his human was always attached to her laptop and he spent so many hours watching her work every day, Ares the dog developed a passion for blogging and that is why you’ll see him writing on this blog every now and then. He’d do it more, but that’s not fitting for an overlord. His human minion should do it! 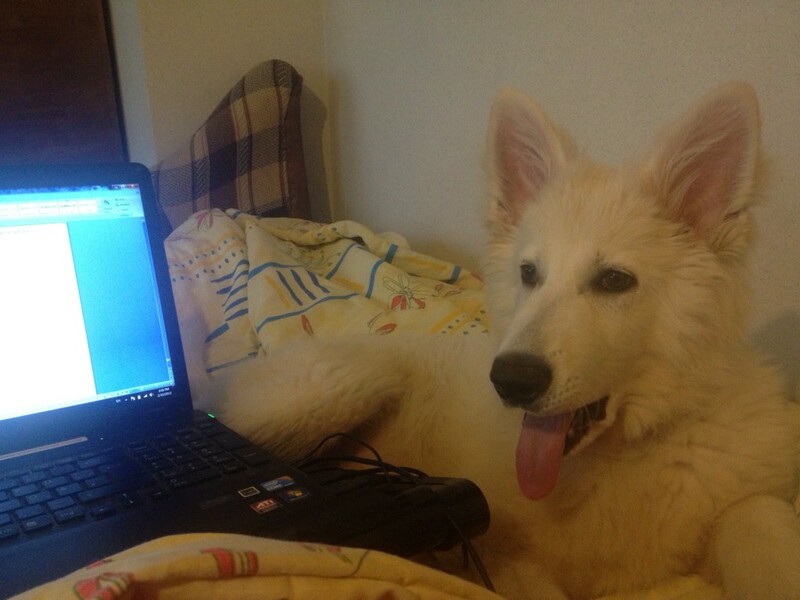 Ares pictured at an early age as he learned how to blog. If you’re wondering, yes, the hierarchy is clear. 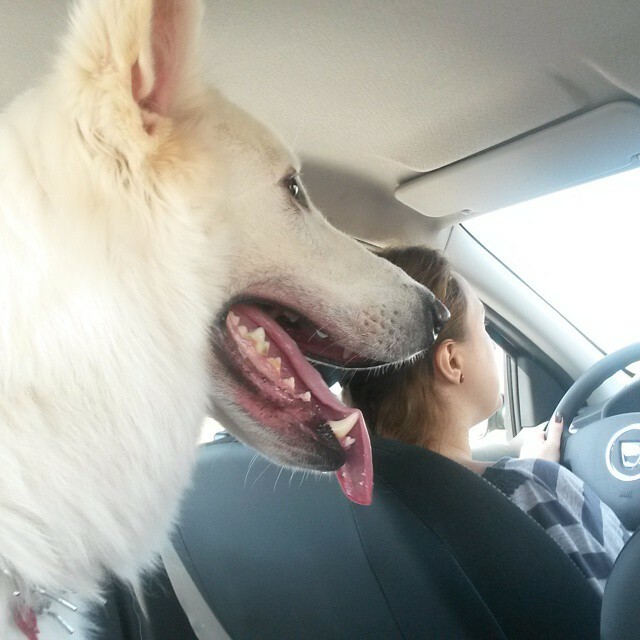 Ares is the top dog and overlord of the Pet Travel Tales blog and his human’s life in general. Feel free to drop by and say hi to him as often as you want. He’s always up for a chat, snacks (carrots and celery root are big hits), and most definitely a walk.